One of New York City’s most active anti-police brutality groups now uses stand-up comedy as well as direct action to raise consciousness. 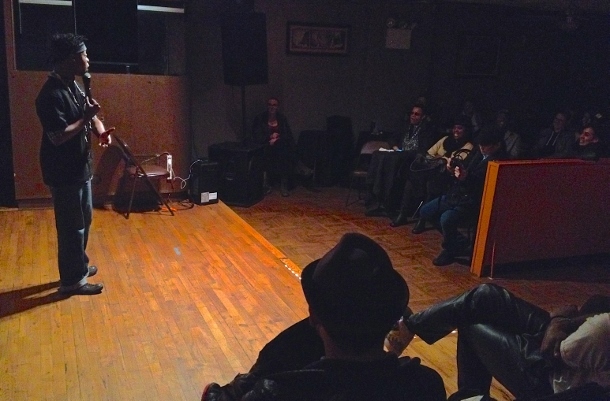 On April 11, the group “NYC Shut It Down” held an event in Brooklyn called “Stand Up, Don’t Shoot” featuring spoken word poetry and comedy from the activists themselves. The group, also called the “Grand Central Crew,” is known for their weekly protests at Grand Central Terminal, occupying big retail stores, and recently confronting City Council Speaker Melissa Mark-Viverito and asking her to defend her calls for more cops. 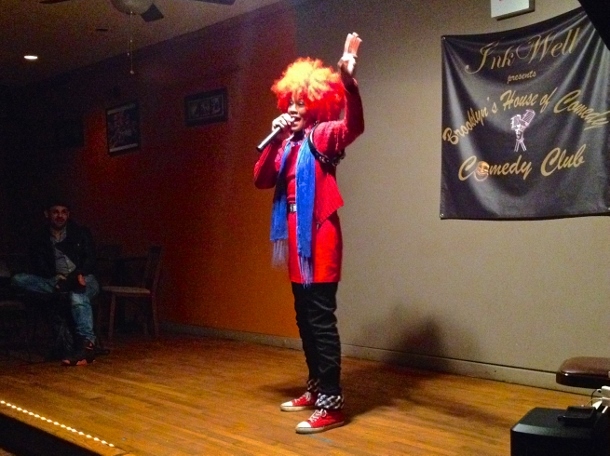 Throughout the night, audience members in the back room of the Inkwell Jazz and Comedy Club in Bedford-Stuyvesant chuckled and howled at jokes on activist topics ranging from getting arrested as protests to cat-sitting for gentrifiers to everyday experiences of racism. The topic of one specific set of jokes, the City Council’s proposal to increase the size of the New York Police Department, was especially pertinent for NYC Shut It Down. Recently, M.J. Williams, another member of NYC Shut It Down, made the news for asking Council Speaker Viverito about her push for more cops during the New York Law School legislative breakfast on Friday. Video of Mark-Viverito answering the question spread online shortly afterward. And though the council speaker answered that she thought that both reform and “more resources” were needed for the NYPD to do “effective community policing,” Williams felt unsatisfied by her answer. 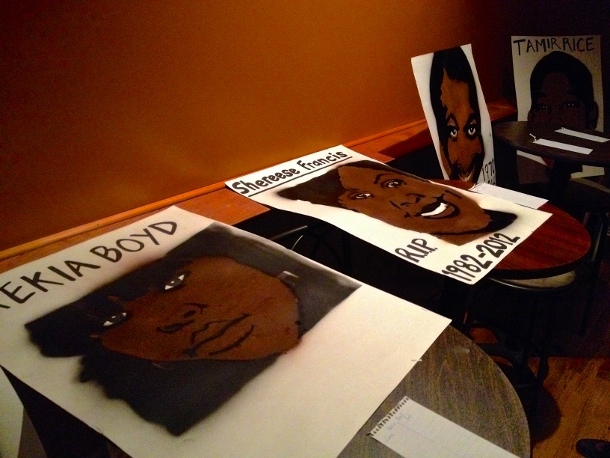 The “Stand Up, Don’t Shoot” comedy event also featured an auction on paintings of people killed by police violence to help raise funds for future direct actions. During many of the group’s #PeoplesMonday protests at Grand Central, marches through the streets, and occupations of retail stores like Urban Outfitters, they would carry paintings of the faces of police brutality victims. Many of these paintings lined the wall of the comedy club as members and supporters of NYC Shut It Down cracked jokes. 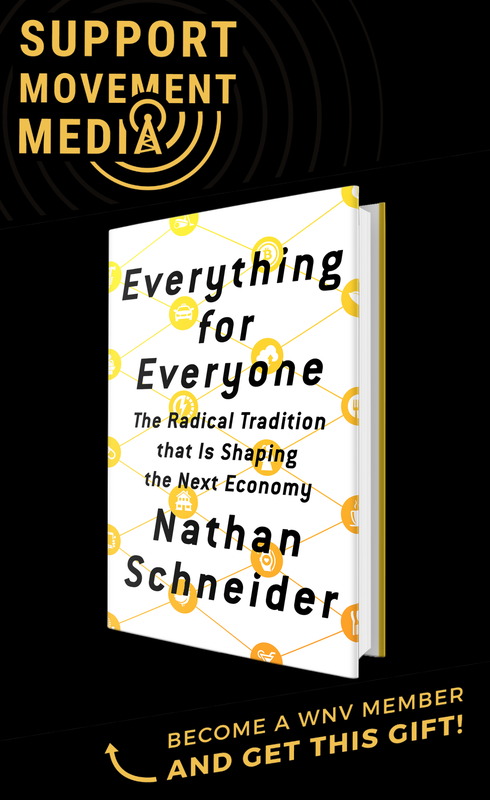 As the event ended, activists mingled with audience members and encouraged more people to support the cause in any way possible, especially by coming to one of the many protests NYC Shut It Down has planned for the near-future.